What is the Lutheran/Biblical teaching on tithing? Seems like I’m hearing different teachings within the Lutheran community, depending on which Church I go to. I know I’m answering this six years later, but whatever. Anyways, I think the “standard” is to give 10% of your income; at the same time, this is not a hard and fast rule. The parable of the woman with two copper pennies is a good example of how God views tithing. It is not a necessary set amount, but like every part of the Christian life, tithing is part of our joyful response to God for sending His Son to pay for our sins. Tithing should be a willing, joyful offering to God; the amount should be whatever you decide, based on prayer and personal examination. Tithing should never feel like a burden, chore, or “spiritual tax.” At the same time, tithing should involve trust that God will provide for you even if it feels like you can’t afford to give a tithe. Again, the parable of the woman with the copper pennies who gave all she had is a good example; she gave willingly, and trusted that God would provide for her even if she didn’t know how. Tithing should also be honest. If you’re giving less than 10%, don’t try to make it seem like you’re not, or something similar. Remember the story in Acts of the couple who tried to make it seem like they were giving the entire profits of a sale when in reality they were only giving a portion. While it is acceptable to only give what you are capable or willing to, being deceitful about your tithing corrupts the entire purpose, and as an attempt to lie to God, is a sin. That’s my understanding. Take it with a grain of salt, as I am not a pastor or DCE or any sort of spiritual authority, just the son of a pastor who’s picked up a bit of theology along the way. Also, you’ll find that personal views on non-salvific doctrine such as this will vary from person to person and church to church. I would suggest looking up passages that deal with offering and tithing, and praying about how to tithe in your personal situation. I come from a Presbyterian background, yet I’ve spent the past five years studying Eastern Orthodooxy. 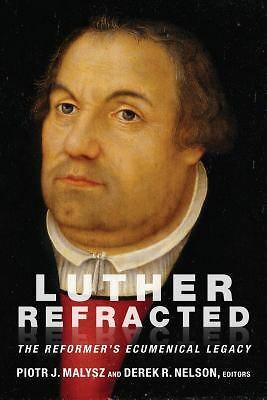 Some friends of mine have recommended Chemnitz to me and I’ve found much in Lutheran Orthodoxy that I really appreciate. There are also a few Lutheran churches nearby that I will check out. Could you recommend any audio on these topics? I would greatly appreciate that. Good Lutheran theology has such a good mooring to key truths of Scipture and hermanutics. Thank you for this post. book also. I can be reached at bidi01@verison,net, at 717-545-8078 od 717-919-7680. I will be looking forward to your reply. Księzę Doktorze Piotrze- Polscy konserwatywni Staroluteranie , potrzebują przewodnika- duszpasterza na miare ksiedza doktora. Polski KEA się skonczył. Tu już odnowa nic nie da. WPOlsce niestety potrzebny jest kosciół misyjny z zagranicy. Bo Polacy nic nie potrafia sami zrobic , tylko spieprzyc. Ale Polskę zarówno Missourii jaki i WELS, omijaja niczym przysłowiową trędowata. I gdzie tu mowimy o bratestwie luteranskim ? Niech sie cały swiat dowie jak są przysłowiowo olewani Staroluteranie w Polsce !! doctrine of sin , Holy Spirit, and study on sovreignty of God and much more , which I personally think would be a great thing to do on this great site. This is a query letter for an original article on the status and entitlements of clergy, and the responsibilities and duties of pastors and synod presidents that make these rights necessary. In its present draft, the article runs to 5,685 words without endnotes, or 6,600 words with endnotes. The duties the laity owe their clergy include honor, respect, reverence, secure financial income, submission, and obedience. Layfolk must render these so that the clergy will be sufficiently above the common fray to carry out their reciprocal duties: settle disagreements, teach the fullness of the Christian faith, provide stable and well-informed leadership and government for the church, make their decisions and counsel accepted, and handle difficult interpersonal situations. The article gives much space to the teaching function of clergy. As is standard for my writings, the sources are all Christian writings before AD 250. The value for such antiquity of material is that it shows that the laity’s duties are not particularly “Roman” or a corruption of original pristine Christianity imposed in the Middle Ages or later times in contravention of some hypothetical thoroughgoing democracy and equality in the primitive church. The article demonstrates that laypeople had such duties and clergy possessed such status and entitlements from the very beginning of the Church as Christ founded it. The article is appropriate for Lutheran Theology: An Online Journal because it provides reasons and authorities why pastors and synod presidents should be listened to when they speak and write on points of ethics, and why the decision and judgment of clergy on a particular issue is not merely one opinion among a multitude of equally-acceptable positions. I am a member of the oldest Lutheran congregation in Canada. Articles of mine have been published in Lutheran periodicals in Canada, New Zealand, and the United States. Would you like me to submit a full manuscript?